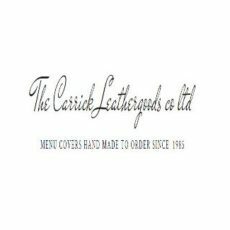 At Carrick Leather goods we have been supplying all types of menu covers and stationery folders for the hotel and restaurant trade since 1985 working through a wide network of distributors and exporting items all over the world. 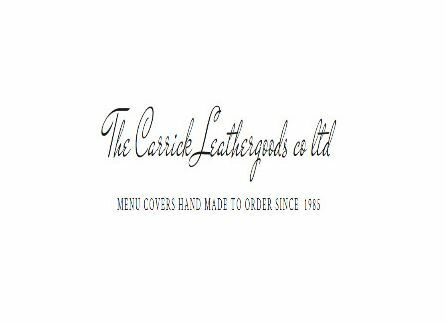 We have built a huge collection of menu covers, corporate binders, bill presenters, room folders, custom menu covers, etc. We have helped each of our customers to establish their unique identity or branding. Your menu is the perfect opportunity to show off your your restaurant's unique personality and showcase your brand. We are excited to offer custom menu covers and menu boards with a virtually limitless range of options. If you have an idea but can't find it, just ask! We love helping our customers create amazing menu presentations. Our customer service people are pleasant, courteous and they will be happy to answer any questions you might have. Our prices are the best on the web.